As the founder of Itelnetworks, Blair Brookins has worked as its CEO since 2002. His responsibilities include managing the execution of every job, overseeing the sales department, and searching for the best workers and finest materials available. Blair is known for working tirelessly, seemingly answering client questions at all hours, ensuring that every client’s job is completed perfectly. 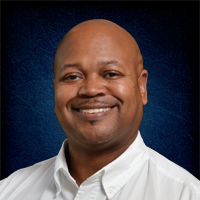 Mr. Brookins has worked in telecom his entire career and has an immense understanding of the field. A graduate of Florida State University with a Bachelor’s degree in finance, he began his career selling national telecommunication programs to some of the largest affinity groups in the United States. Since then, in his nearly 14 years building Itelnetworks, Blair has created a company that has extensive experience and resources to help tenants open, move, expand, or restack their offices. Itelnetworks’ products and services have grown to include voice and data cabling, fiber optics, phone systems, A/V, sound masking, and security. Blair’s goal is client satisfaction, which means he personally coordinates the necessary resources of each job to ensure that each client’s move objectives are made on time and on budget. Blair lives in Buckhead with his wife Jennifer, son Wesley, and daughter Hannah. When he has time away from Itelnetworks, he enjoys local sports, parks, trying new restaurants, and helping the city of Atlanta grow. 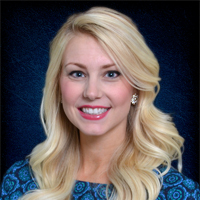 Kelly Grunderman Lundberg has been the Director of Business Development for iTelNetworks since July of 2011. In addition to B.D., Kelly helps prepare proposals for our valued clients and works to ensure all jobs go smoothly. Her thorough understanding of our products and services, combined with her engaging personality, make her a valuable member of the Itelnetworks team. Her responsibilities for the company include meeting with clients, reviewing blueprints and numbers in the office, and visiting job sites. Prior to joining the company, Kelly worked in business development for Office Creations where she was responsible for the development and growth of profitable new business and developed and maintained effective key relationships within commercial real estate and the architectural and design community. Previous to that, she worked at Wise Design Architecture where she was an interior designer for financial facilities across the country. She handled space planning, construction documentation, as well as full FF&E packages. Kelly holds a Bachelors degree of Science in Interior Design from Florida State University in Tallahassee. She lives in Dunwoody with her husband Matt and two children, Holland Grace and Crew. Having worked in telecom for 13 years, Eric Ramey has been a project manager and an integral part of the Itelnetworks team since 2011. Using his wealth of experience, an impressive work ethic, and a big smile, Eric runs the majority of Itelnetworks’ jobs. He is a favorite of many of our important clients. A lifelong Atlantan, Eric previously worked in the telecom field for Bell South, where he was a facility tech, repairing damaged or malfunctioning cables. He also worked at NetPlanner and Summit Systems as a lead foreman. Prior to that, he studied computer build-outs and programming at Dekalb Tech. He also has certifications in Belden, Leviton, and is certified by Comm Scope for Distributed Antenna Systems. These qualifications make him an ideal fit for Itelnetworks. He usually oversees numerous of jobs at one time, engaging in material purchasing, manpower assessment, and related work. 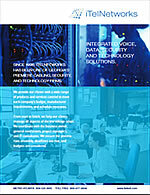 He specializes in cabling, sound masking, and fiber optic jobs. Eric lives in Gwinnett with his wife and kids. 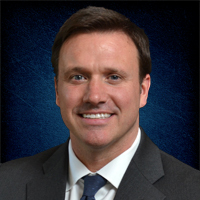 He has five children (three boys and two girls), and enjoys coaching their football and baseball teams. As a project manager who has vast experience in a wide array of complicated and technical telecom solutions, Michael Holnaider has been a key member of the Itelnetworks team since 2007. In addition to planning and managing jobs, Mike is an expert at many of the niche types of installations performed by Itelnetworks. After studying at Georgia State and Chattahoochee Tech, Mike became a licensed low voltage electrician. Over the years, he has gained an incredible depth of knowledge in some of the telecom industry’s foremost and rapidly changing fields. He specializes in access control, security surveillance, fire protection, systems integration, and all types of audio and video products and solutions. His laid back personality ensures he’s a pleasure to work with, while his range of knowledge in the telecom field makes him a treasured asset to Itelnetworks’ and many of our important clients. Mike lives in Woodstock with his wife Morgan, to whom he was married in 2008. In his free time, he enjoys playing with his dog and Atlanta Braves baseball. 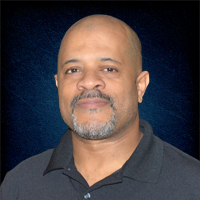 Louis Jones started working with Itelnetworks as a project manager in early 2015. After a broken leg suffered that year while working on his church, he transition to working primarily in our office and has been a key member of the office team since then. He specializing in estimates and quotes, and his attention to detail and positive personality make him a great asset to the Itelnetworks team. Prior to joining Itelnetworks, Louis worked in the construction field as a low voltage technician and lead tech, so he knows the industry. Murray Gray’s multitude of roles for Itelnetworks include sales, project management, and IT work. His go-getter mentality and friendly demeanor make him a valuable asset to the team. 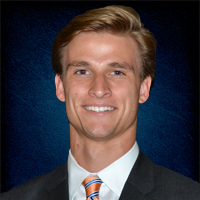 A recent graduate of Auburn University with a degree in marketing and a concentration in sales, Murray enjoys rooting for his Auburn Tigers. He is also a single stroke away from being a scratch golfer and is preparing for his first Ironman event. 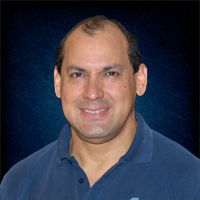 Rafael Urbaez has been with Itelnetworks since 2009. 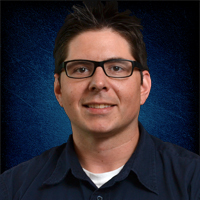 He started as a cable technician and now specializes in sound masking. “Raffy,” as he is commonly known, has a positive, fun attitude that makes him a pleasure to work with. He isn’t afraid of a challenge and takes pride in hard work. A former body builder, Rafael is fluent in Spanish and he enjoys spending time with family and friends, and cooking a good meal. 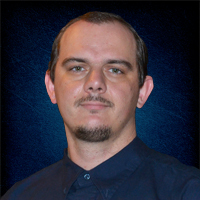 Andriy Sydorets has worked for Itelnetworks since 2013. As a foreman, he specializes in low voltage cabling, managing a crew of 4-6 workers. He brings a great attitude to every job site. Andriy has worked in the low voltage field since 2008. A native of the Ukraine, Andriy enjoys fishing and camping in his spare time.